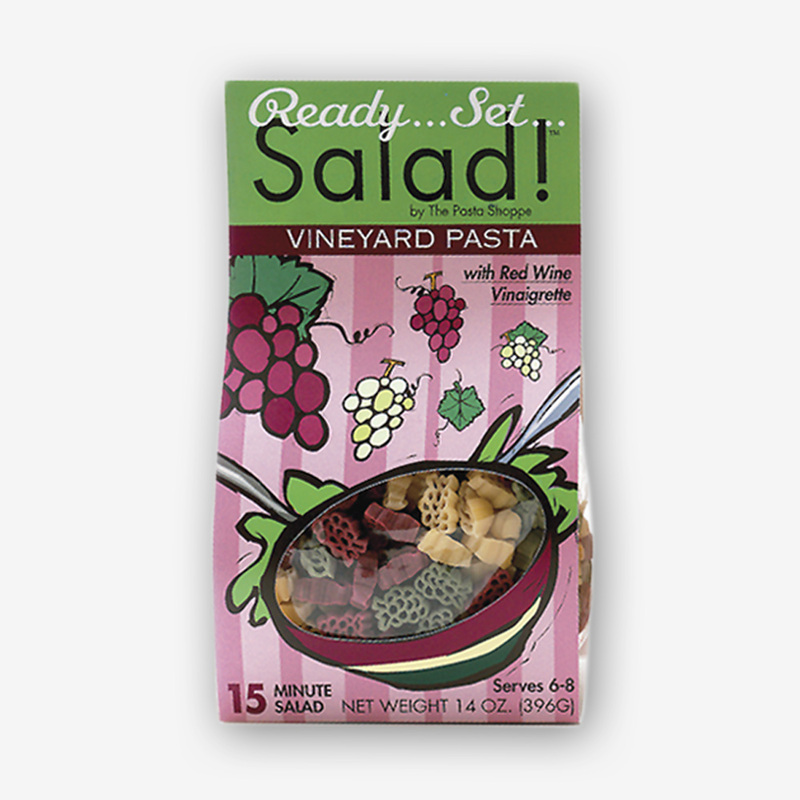 I LOVE Pasta Salads! 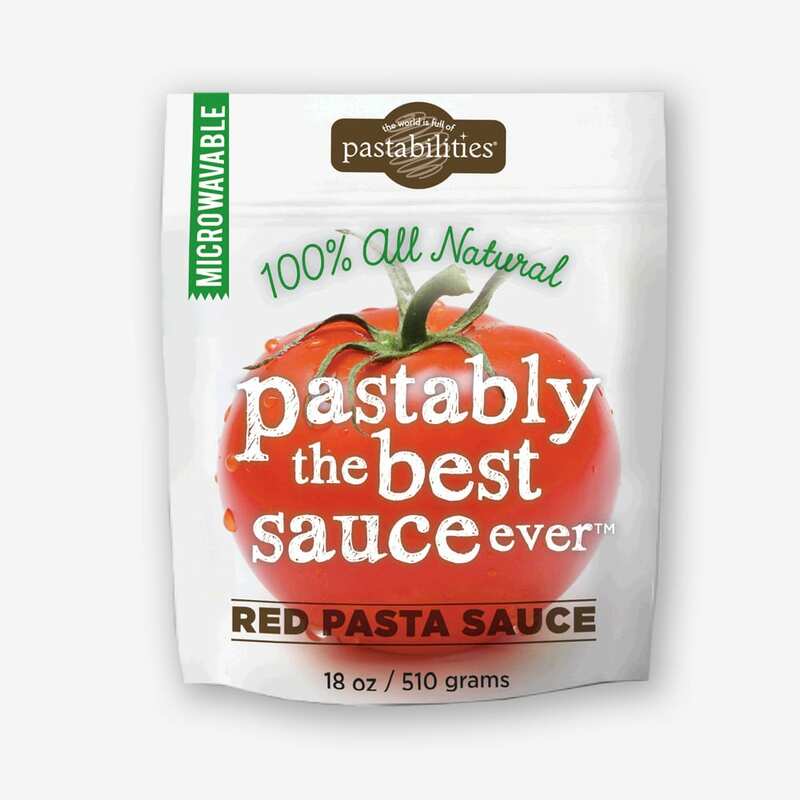 Nothing is better in the heat of summer than a great pasta side. 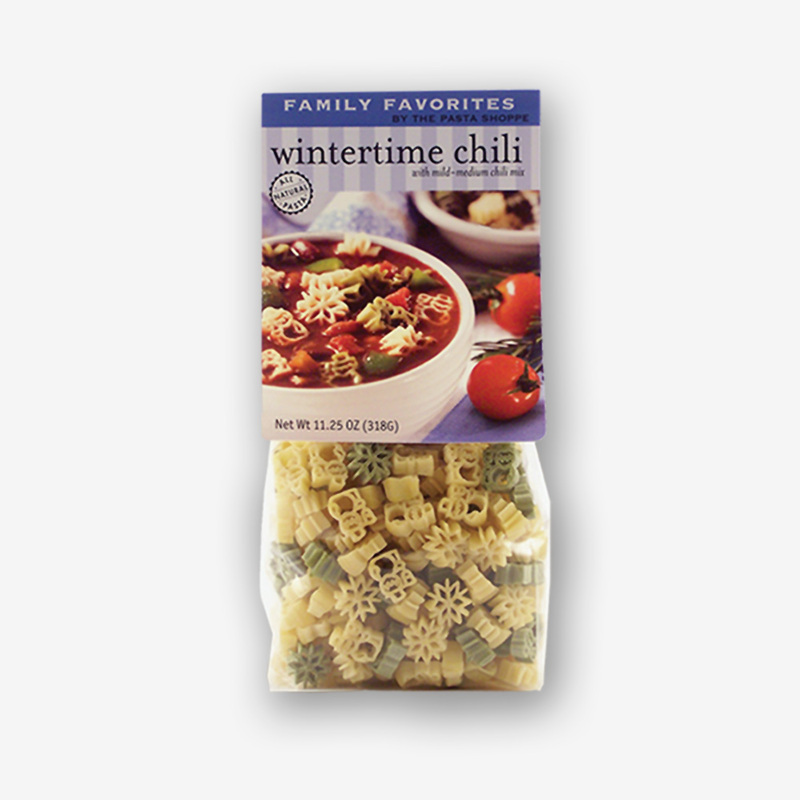 Pasta salads showcase some of our best seasonal produce and when chilled, satisfy everyone on a hot summer night. I want to share with you all some of my favorite salads (maybe next week)…but for now this new one has my FULL attention! 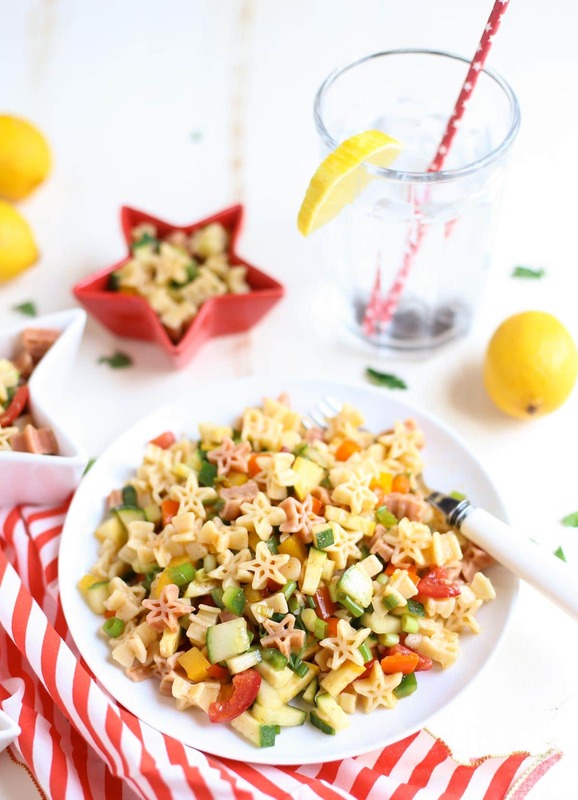 Fresh & Light Veggie Pasta Salad with Spicy Lemon Dressing…my latest “light” go-to pasta. Now who doesn’t love that feeling? 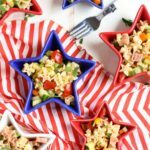 – Fresh & Light! 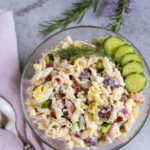 Most pasta salads are either a mayonnaise base, Greek yogurt, or a vinaigrette…and I have great recipes for all on the blog. 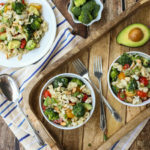 This Veggie Pasta Salad though has a super light dressing made with low sodium chicken broth, fresh lemon juice, and just a little oil. Sounds kinda bland…but not when you add some unusual “kick it up” spices: cumin, coriander, dry mustard, red pepper flakes. I mean have you ever heard of such a dressing? The lemon and spices are keys to making this dressing work. Now, it’s almost the 4th of July, and also my hubby’s birthday. 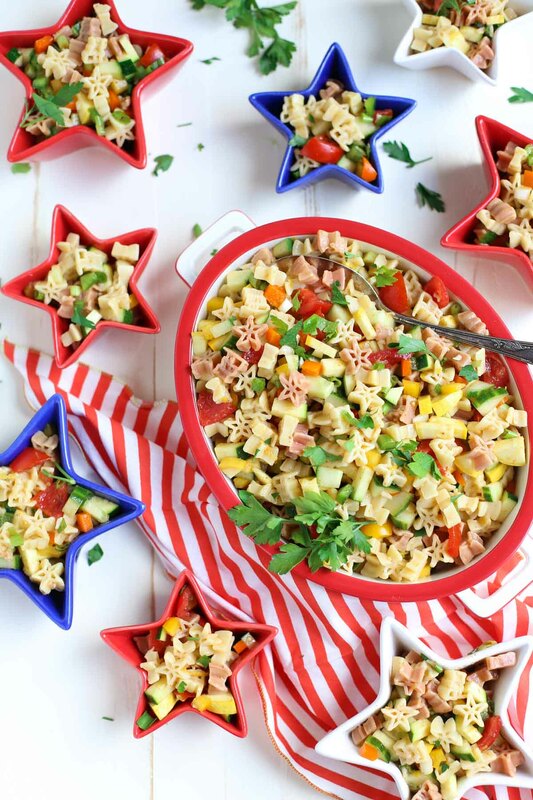 :) So needless to say, we are having another annual gathering with a lot of grilled meats, so this Veggie Pasta Salad will be a great addition to the potluck. 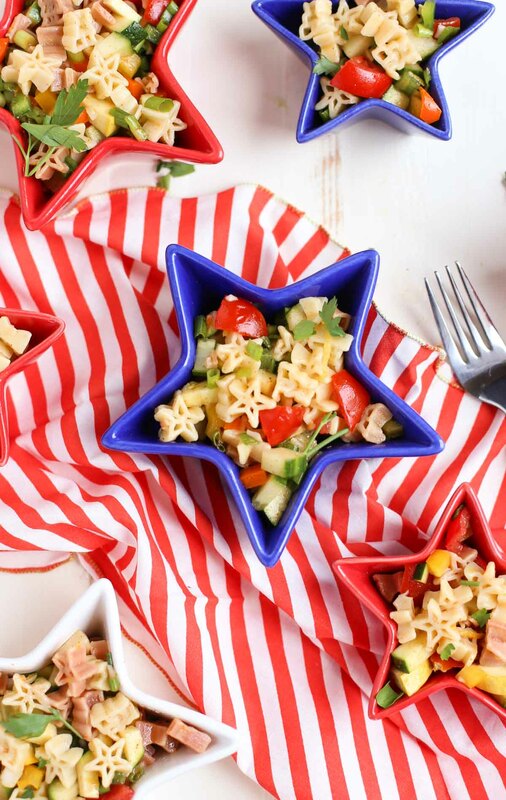 Keeping in the spirit, I’m using the American Pride Pasta (stars and flags). I decided to chop all the veggies in a small dice. My rule of thumb is usually to dice the vegetables about the same size as the cooked pasta. 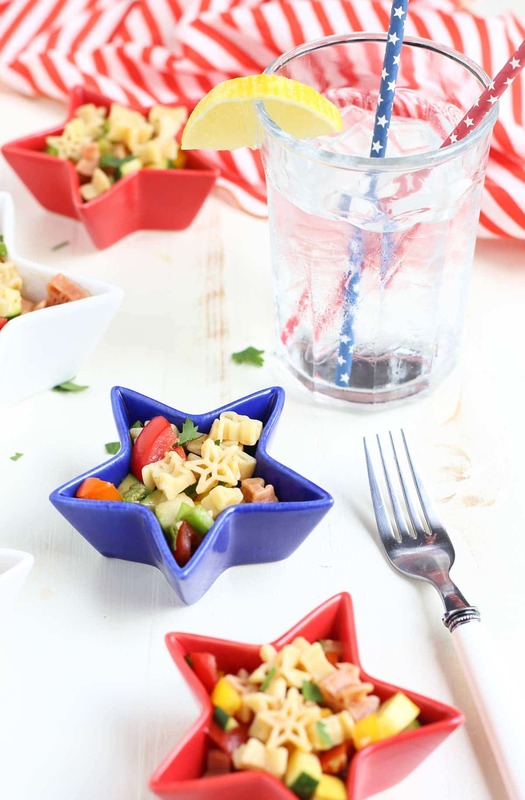 You want to showcase the cute pasta shapes and not overwhelm the dish with large chunks of vegetables. But for a larger shapes, like our Zucchette Pumpkin Pasta, I’d definitely go with a larger chop. Plus the small consistent size of the veggies makes the texture and crunch of the dish wonderful in “mouth feel”. (That term is what a lot of us “pasta nerds” use when talking about texture and pasta ?) I first realized how much I liked small diced veggies in a salad back when Oprah had her first restaurant in Chicago. She served it with some goat cheese and a lemon vinaigrette. My Mom and I have recreated this recipe with many versions over the years…and this is just another good one but with pasta added! Now that I’m writing this, topping with some goat cheese would taste great…..yum. Think I’ll add that to the recipe notes! 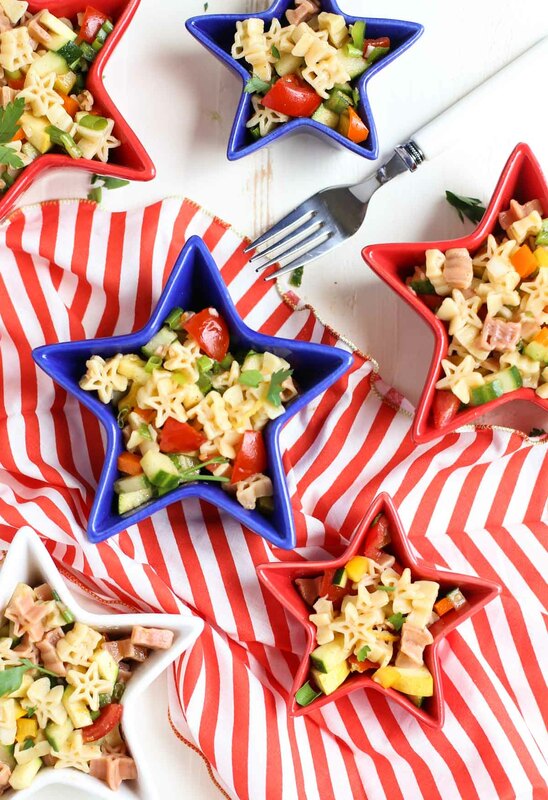 So this holiday weekend, you have many choices for great pasta salads to enjoy! 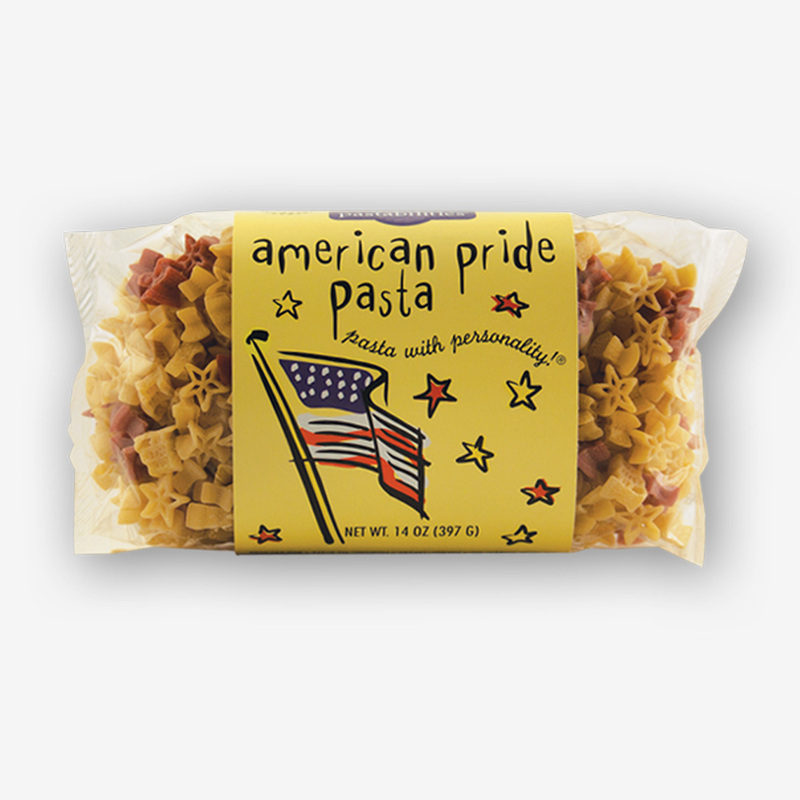 In the past with our American Pride Pasta, I’ve featured Supreme Pizza Pasta Salad, Sundried Tomato Pesto Pasta, and our famous BLT Pasta Salad. 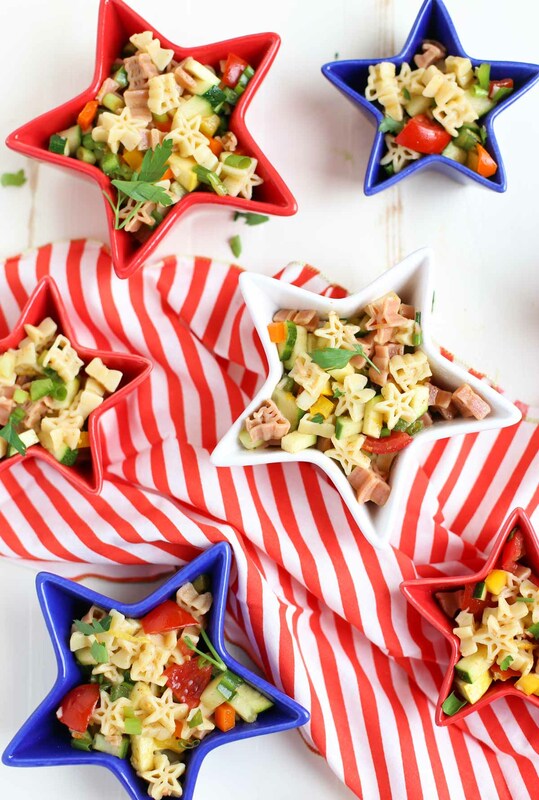 So add this one to your Patriotic celebrations, or anytime you are ready to lighten things up! Wishing you all a Happy and Safe 4th! And THANK YOU to all of our active military and Veterans! 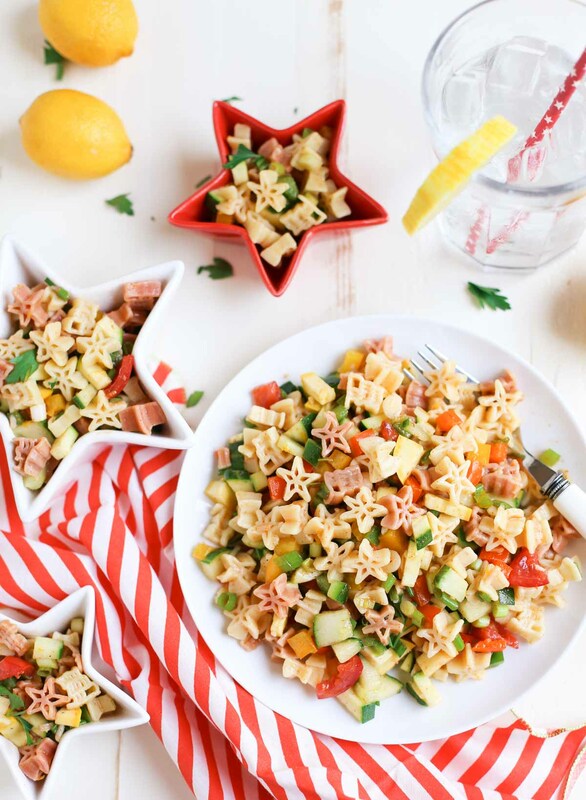 When the occasion calls for something light and refreshing on the side, this Veggie Pasta Salad will do the trick! The dressing has just enough kick to keep your attention. Serve along grilled meats or as a side at any BBQ! Combine all dressing ingredients in a food processor and pulse until combined. Adjust salt and spiciness if necessary. Gently toss pasta, all veggies, and dressing in a large bowl. Top with fresh chopped parsley and serve immediately! Looks so light and perfect for Summer! I always read your blogs because it offers the best details about my favourite food i.e. pasta. 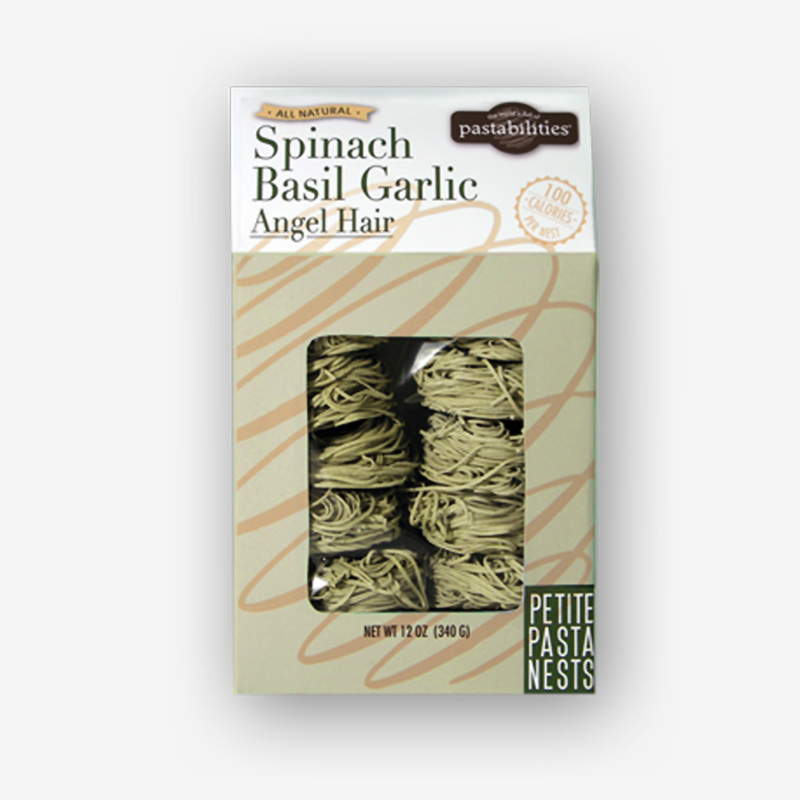 I must say I really love the way you explain every detail about pasta. 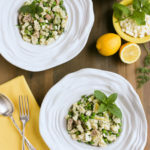 This recipe is so fresh and tasty! Delicious, and I love a little spice! That lemon dressing is delicious!! !